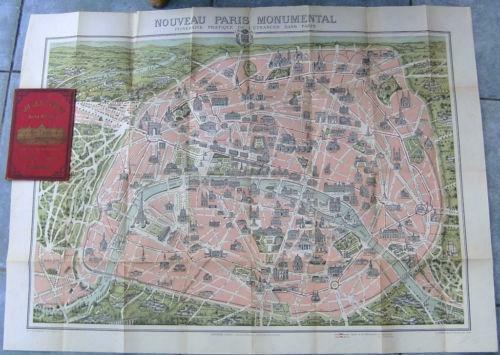 A fold-out coloured map of Paris showing the prominent buidings. In very good condition with no wear on the creases. With the original slip case.